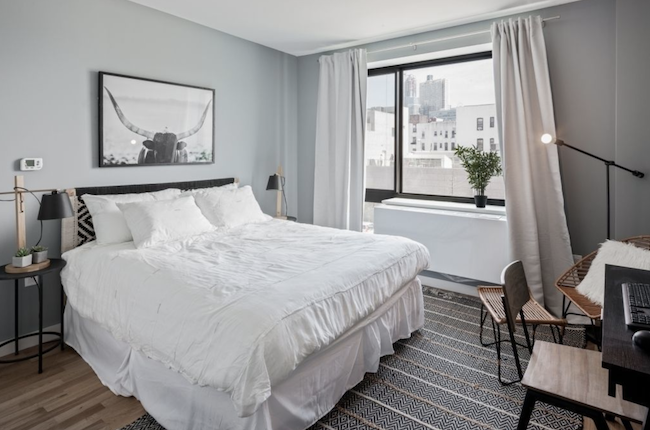 This one bedroom is close to lots of restaurants and bars. 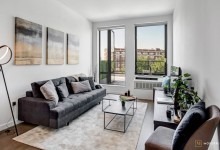 Being close to transit is understandably one of the biggest must-haves for many renters in New York City, but that convenience means you can expect to pay more in rent. That doesn't appear to be the case for this rental, 44-72 11th St., #409, in Hunters Point, Queens. 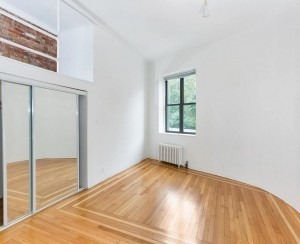 This one-bedroom, one-bath apartment is near four train lines and two bus routes. 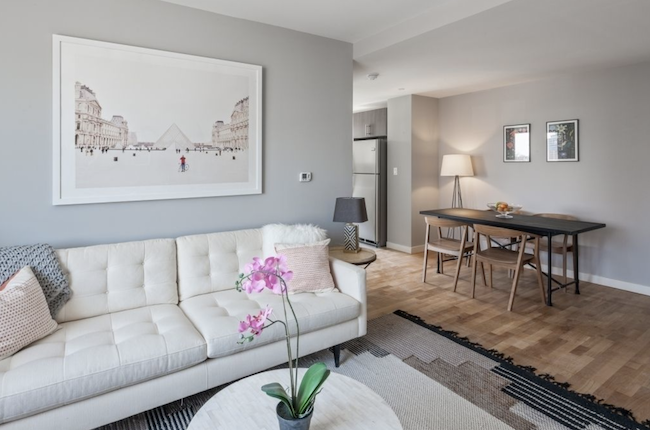 It is a no-fee apartment asking $2,745 a month—that's about $400 below the median asking rent in this subsection of Long Island City, StreetEasy says. 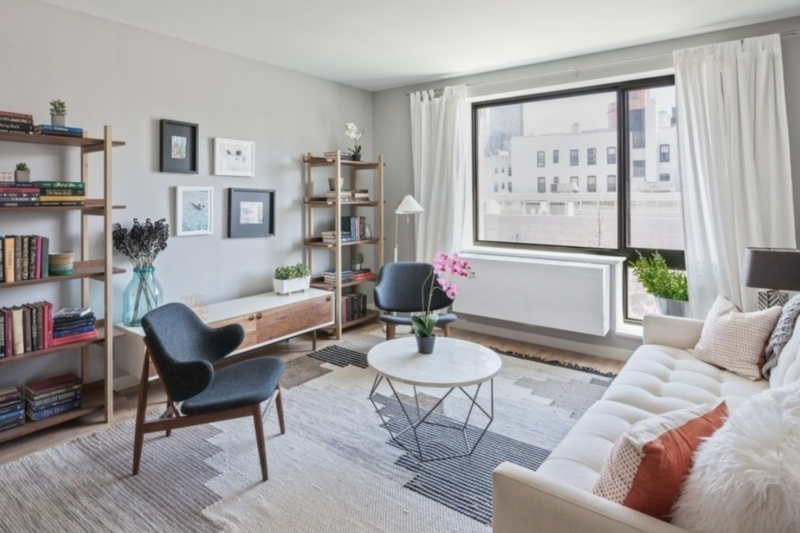 With Amazon's HQ2 and 11,000 new, mostly luxury apartments coming to LIC, rents are expected to skew higher, which makes this apartment an even better deal. The living room is bright, with room for a dining table. 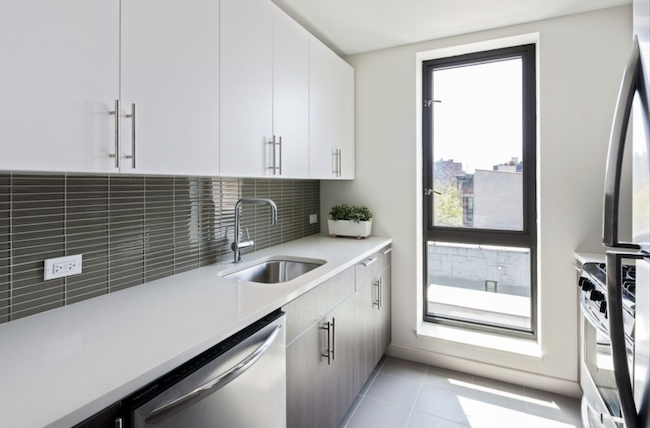 The galley kitchen is wide, with stainless steel appliances, including a dishwasher. There’s also a big window that lets in lots of sunlight. 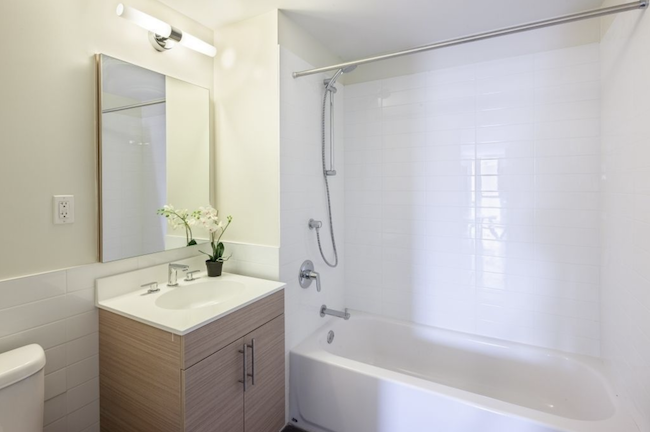 The bath looks pretty standard, with a white-tiled tub and shower and a dark wood vanity. The building has a gym, bike storage, virtual doorman, and shared courtyard terrace with grill. Pets are allowed with landlord approval and additional fees. 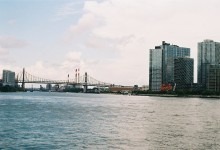 The apartment is close to lots of bars and restaurants, and a quick walk gets you to LIC Flea & Food and MoMA PS1. 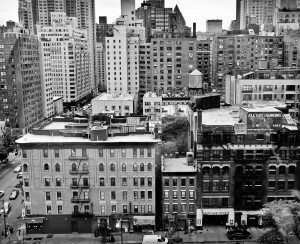 The nearest subways are the E and M at Court Square-23rd Street, about a block away. The Court Square stops of the G and 7 trains are also in close proximity. Plus, the B32 bus route is right outside on 11th Street, and the Q103 is a block away on Vernon Boulevard.